Allergy control products can lessen the symptoms of asthma. 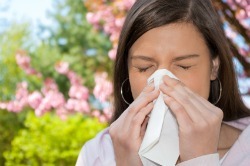 The first thing that you should do is to get tested to determine exactly what allergies you have. Once you do this, you can use medications that will best suit your needs or avoid allergic reactions. When you look closely then you can find allergy control products that you can use at home to treat your symptoms. If you use them daily, you can prevent wheezing before it happens. Once you know your symptoms, you can use pills to help subdue some of the lesser symptoms, such as watery eyes, a stuffy nose or head congestion. Many of these pills are sold in drugstores and do not require a prescription. Anti-histamines and decongestants are both very helpful to clear sinuses and release pressure in the head. 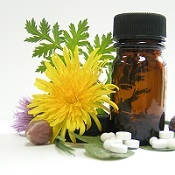 For those who are susceptible to medication, it is possible to purchase a lower dosage. Be sure to read the label carefully as some medications may cause drowsiness. If drugstore products are not effective, you can go to a doctor to get prescribed medication. This will provide you with a higher dosage to help relieve more severe symptoms. Another option is to administer weekly shots for a few months to control allergens. Shots are very effective and offer a long term relief. One of the best ways to prevent allergies and asthma symptoms is to use allergy control products that prevent symptoms in the first place. In addition to pills or shots, you can prevent your home from becoming a place that promotes allergy outbreaks. The biggest problem for people who have allergies are the unsuspecting elements that remain in the home. The main triggers of asthma are dust, pollen, dust mite, pet dander, smoke, and pollen. If you are not aware that they are present, you have no way to fight them. Allergy control products can easily be purchased in a store or over the internet. 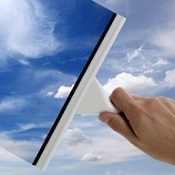 There are many products that can minimize asthma symptoms by removing dust and other allergens from your home. You should be tested to determine exactly what is causing your symptoms before deciding on a product to help relieve symptoms. 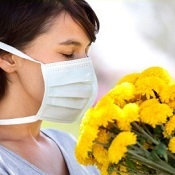 Whole House Cleaning – Most people have allergens throughout their homes that can affect their breathing. 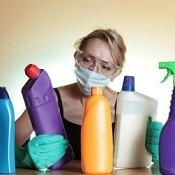 If you want to stay safe, then you should know your allergens and the products to remove them. If you get tested by an allergist, you can know exactly which allergens are causing your problems and how to control them with proper cleaning products. Allergen Removal - One way to remove or decrease allergens is by using air filters, which will circulate clean air throughout the home and filter out any allergens. 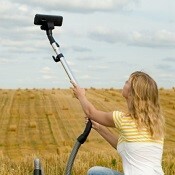 Filters can also be attached to vacuum cleaners to help clean up dust mites that cause itchy or watery eyes. Allergen sprays also work to de-active allergens that you cannot get to. Dust Mite Removal – One of the hardest allergens to remove are dust mites. They live in beddings, carpet and any upholstered furniture. One of the best ways to control them is to clean your carpet and upholstered furniture regularly. You can also use an allergen spray to eliminate and neutralize dust mite and pet allergen. This will neutralize them so that they do not cause any problems. Dust Removal - Let’s face it … dust is everywhere. It is impossible to complete remove it. The best that you can do is to use vent filtration covers, air cleaners and allergy control products that bind to the dust. This will prevent the dust from becoming airborne and causing harm. If you dust on a regular basis, this will prevent it from entering your nose and affecting your breathing. Laundry Additives – On a daily basis, many allergens stick to clothing and bedding. But the right laundry additives can remove them without you changing your regular laundry detergent. Bed linens, dust ruffles, comforters, curtains and mattress pads that are not in dust mite proof covers should be washed in very hot water or with a laundry additive. This will ensure that dust mite won’t cause allergy or asthma symptoms. These are our favorite picks of allergen control products. But don't just take our word for it. Choose a medication and read product features and customer reviews to find the right one for you.